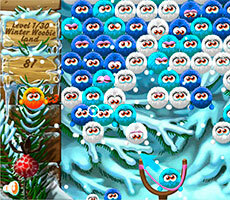 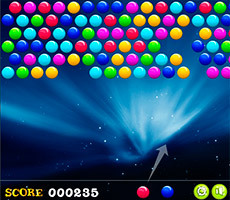 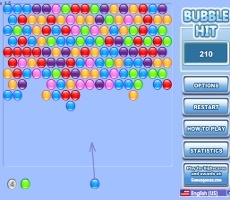 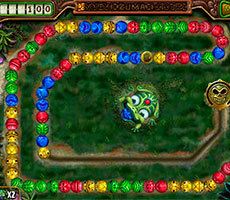 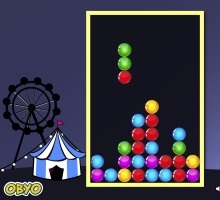 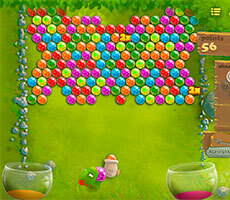 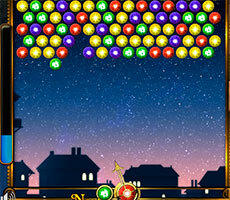 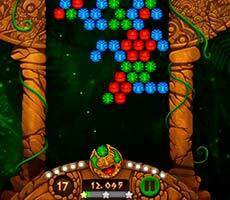 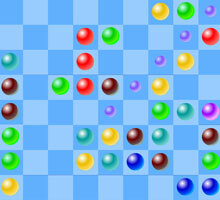 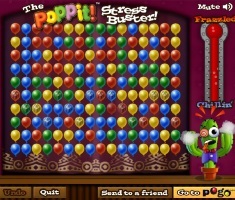 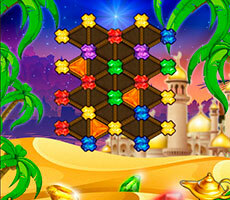 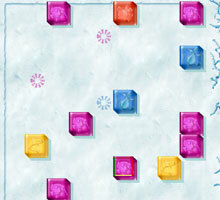 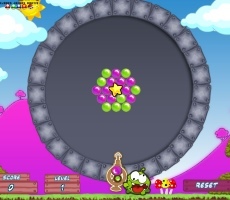 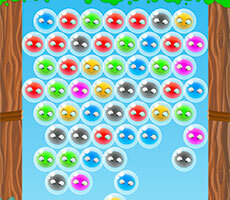 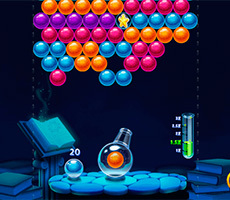 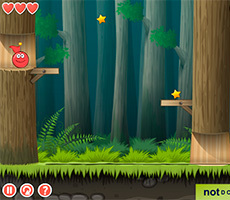 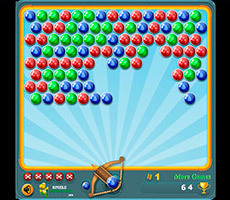 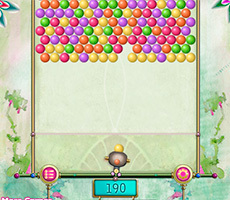 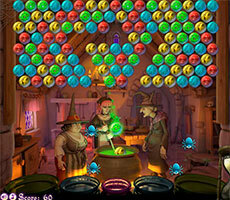 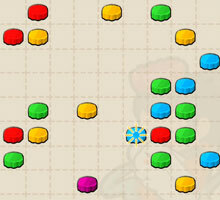 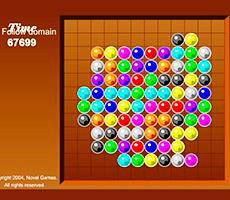 Game Bouncing Balls can be compared with a similar online game Bubble Hit. 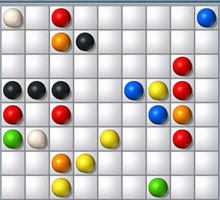 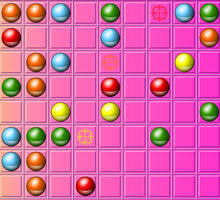 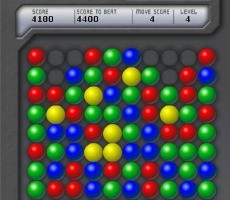 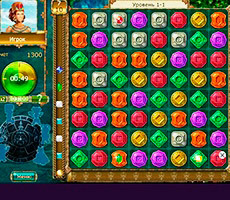 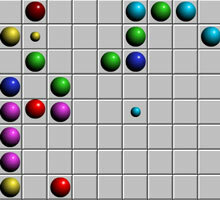 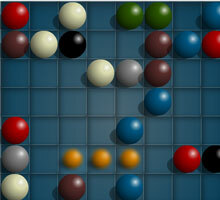 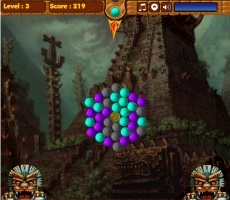 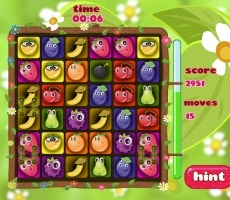 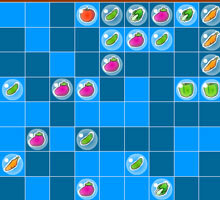 In both games you suppose to shoot same color balls, what is more there should be not less than three balls among them. 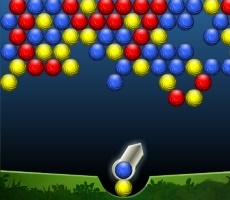 But it is worth noting that game Bouncing Balls is more difficult, because in the "good ball" all the actions take place statically, whereas a ball field in the first game is constantly moving. 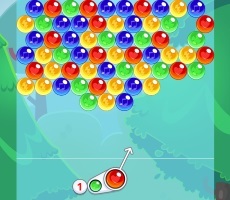 When it reaches the bottom of the screen the game is over. 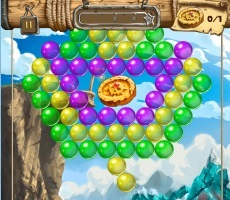 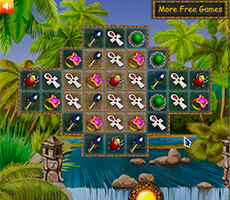 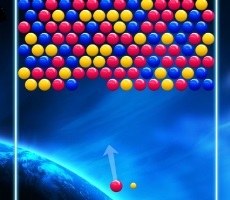 Therefore, in order not to lose, the player must constantly shoot at the elements of the same color as the ball attached to a boom. 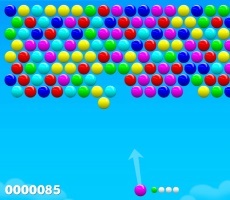 To start the game click on the "Start" button, read the instructions and then enjoy the Bouncing Balls. 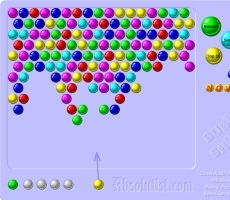 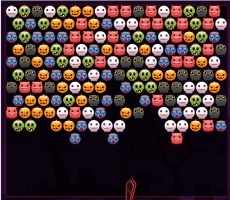 Remove the balls from the first row, as they represent the greatest danger for you. 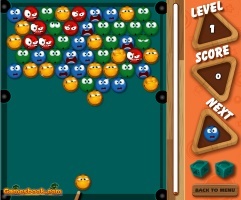 Only practicing you will achieve success in Bouncing Balls game!